The post uses affiliate links, click here for more info. Last week we had the Boy’s birthday party. It was his first “real” party with organized games and activities. I was so nervous. What if the kids hate the games? What if they hate the food (cupcakes, go figure)? What if they get bored, or my son decides he hates the whole thing? Oh the joys of parenthood. Luckily, it went quite well, all the kids had fun, and the stress and worry was for nothing. 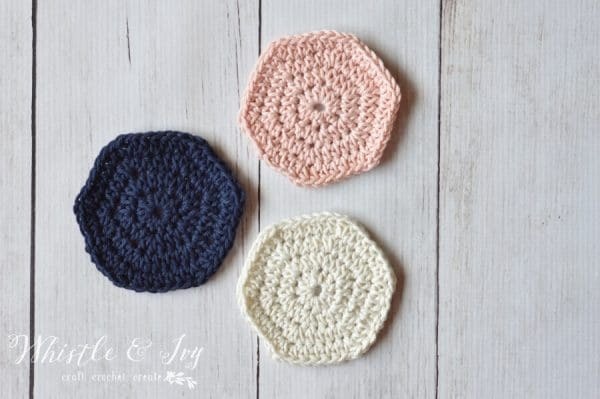 This week calls for a cute, sweet (and fast) little project. 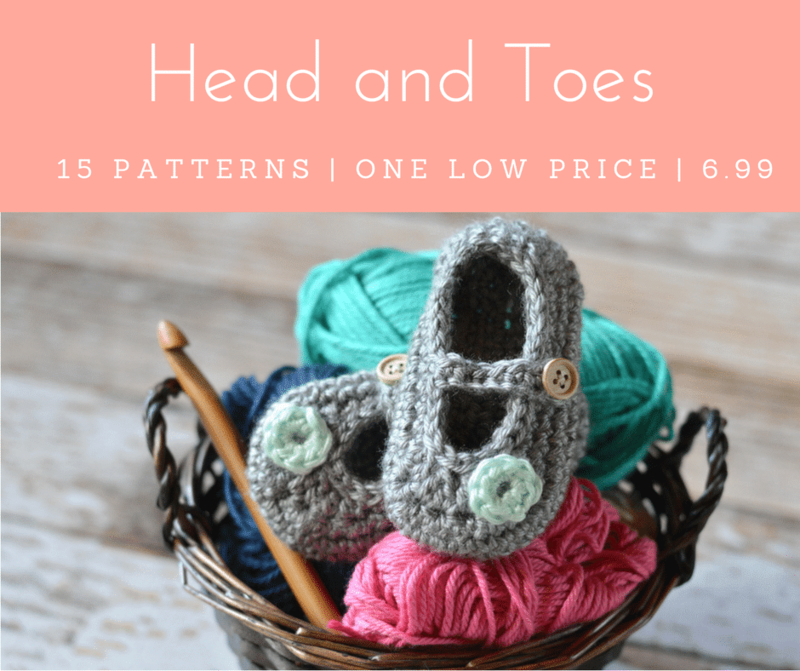 I have a fun and fancy pattern coming up next week, but I wanted to release this pattern first. 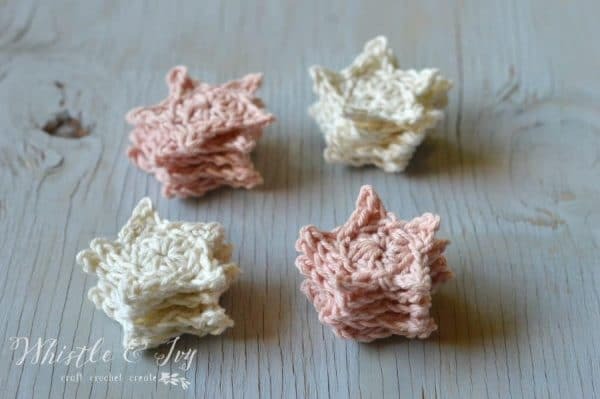 These cute crochet bows will be embellishing next week’s creation. 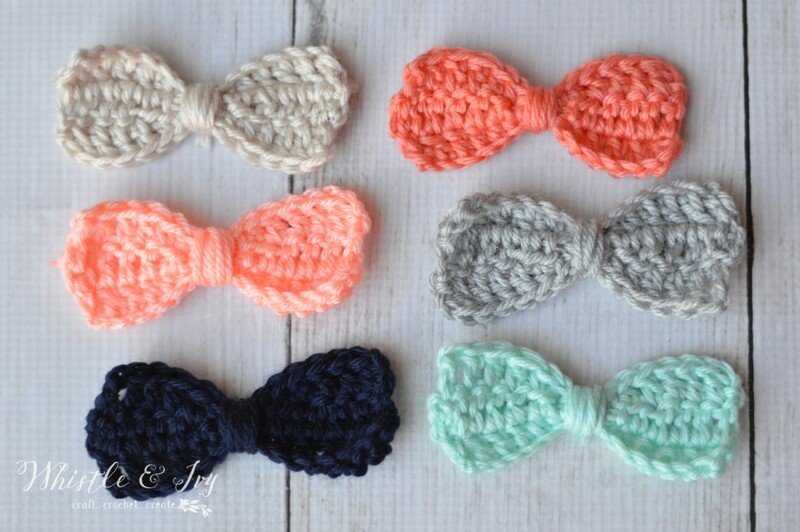 I loved how these crochet bows turned out so much that I wanted them to have their own post. 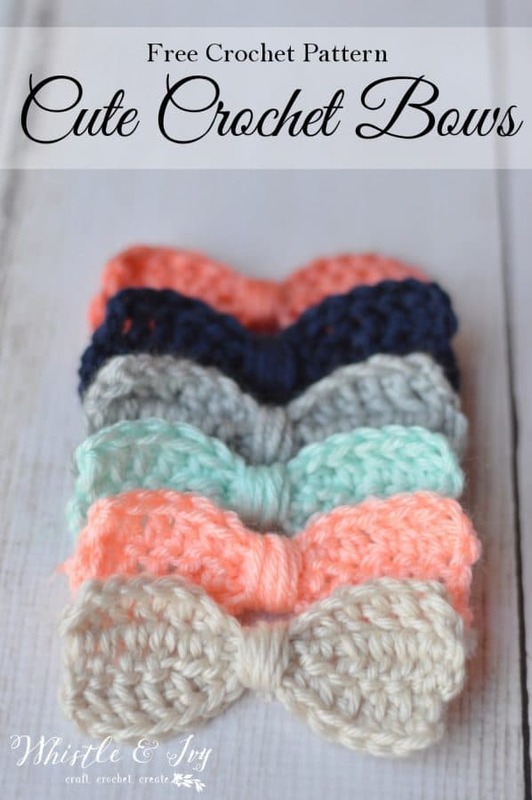 The good thing about these crochet bows is that they are shaped like a bow before the middle is wrapped. You don’t need to pinch and wrap, hoping it turns out okay (I am not the best bow-maker with fabric, paper, ribbon or much else). 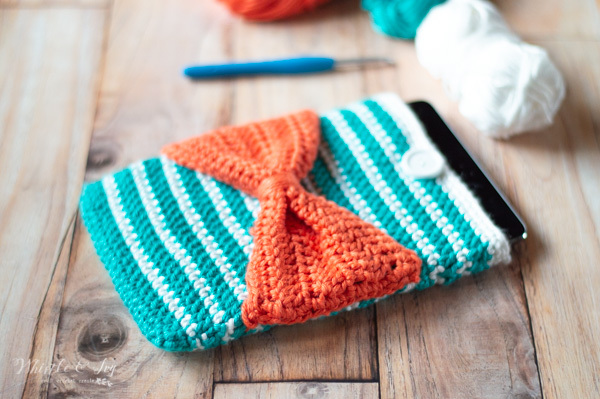 You get a perfect crochet bow every time! 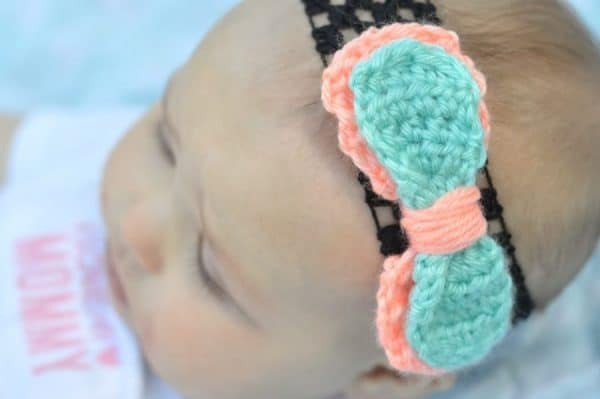 These cute crochet bows work up so quick and the applications are near endless. 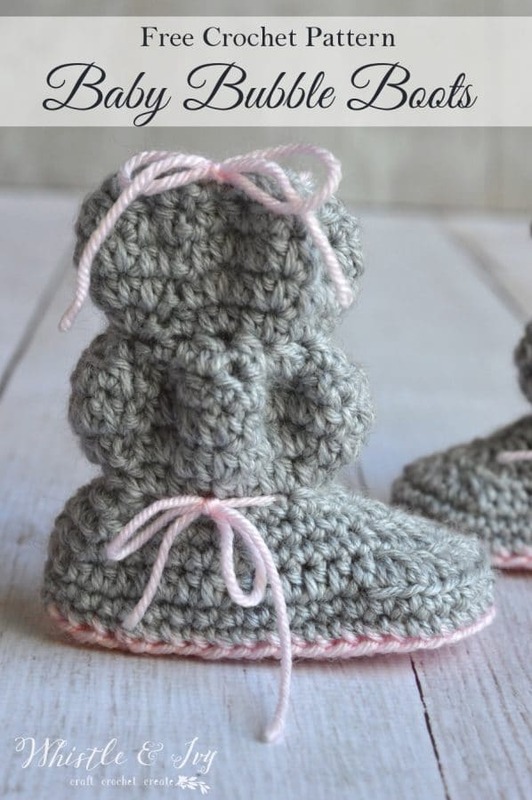 A bow garland in a baby’s room would be so adorable, or you could embellish slippers and crochet boots, hats or hair bands and clips. 2.- 4. Ch 2. Dc in same st. Dc 3. Hdc. Sc. Sl st. Sc. Hdc. Dc 4. Turn. 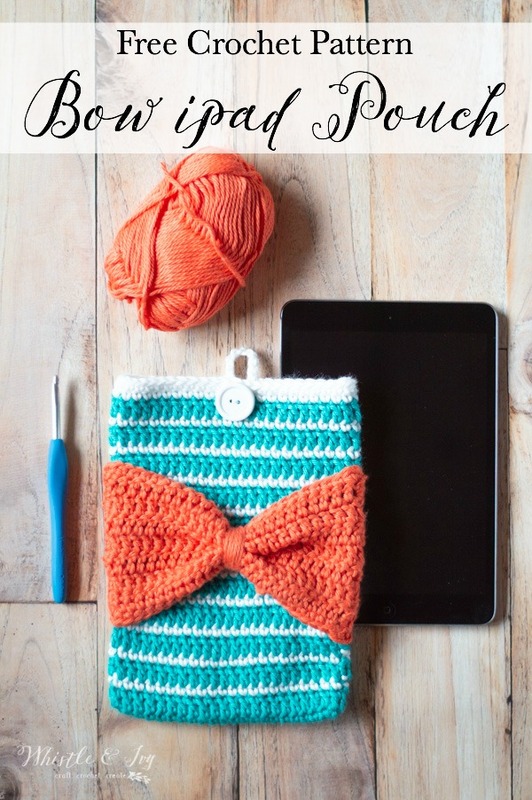 Take a length of yarn and wrap it around the middle of the crochet bow, starting in the middle of the yarn. Wrap both ends around the bow going in opposite directions. After wrapping 3-4 times, tie a small knot in the back of the bow and cut the ends. 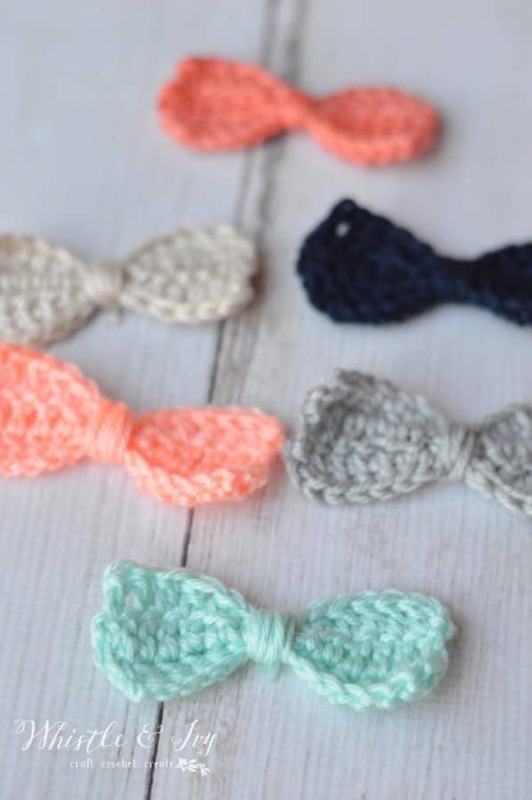 How will you use your cute crochet bows? This is completely crazy, but I haven’t made Little Cricket a single thing yet! Not one pair of booties and not one hair bow. Well, I finally got around to doing a cute project for her. 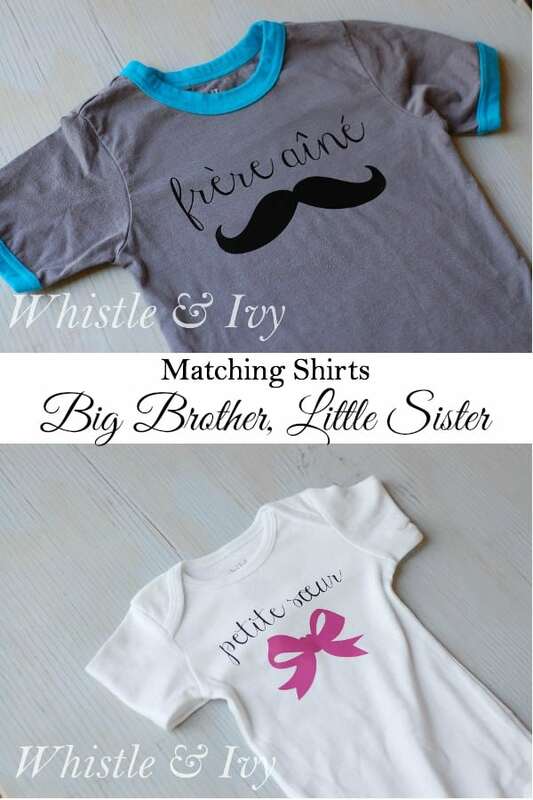 I love this one because I was also able to finish the first item that will be in The Boy’s Big Brother basket: matching big brother, little sister shirts (well, her’s is a onesie). 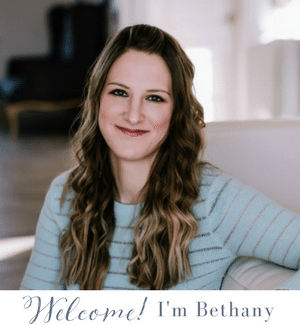 This post uses affiliate links, which means I earn a small commission if you make a purchase. For more information, click here. Thanks for supporting Whistle and Ivy! With summer winding down here, I hesitated to post this pattern. I mean, Hobby Lobby already has Thanksgiving decorations up! Here in Vegas, however, we have a good 2 months of warm weather left, so I decided to post it. Plus, as summer fades away here, that means my friends in the southern hemisphere are gearing up for spring! 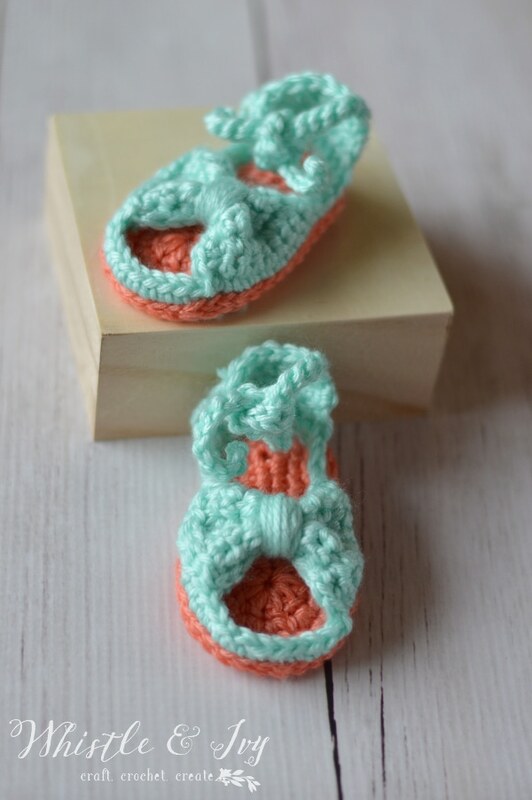 Wherever you are, I hope you enjoy the crochet pattern for these Bitty Bow Baby Sandals.